Well, it’s been a few days, and no government minister has come on to the TV to tell us it was all a mistake, and they’d miscounted or something, so I guess I’ll have to accept that Brexit is a thing, and it is going to happen. I’m not alone in my reluctance to believe that a majority of the population have chosen to follow a course of action which, however one looks at it, seems imprudent to say the least; numerous Leave supporters apparently thought they were casting protest votes that wouldn’t actually change anything, and even the leaders of the campaign appear to be flabbergasted by its success, and to have no idea what to do next. David Cameron has resigned, hardly surprising given that he had needlessly precipitated the biggest foreign policy blunder since the loss of the American colonies, leaving the ship of state rudderless just as we are about to hit the rocks. 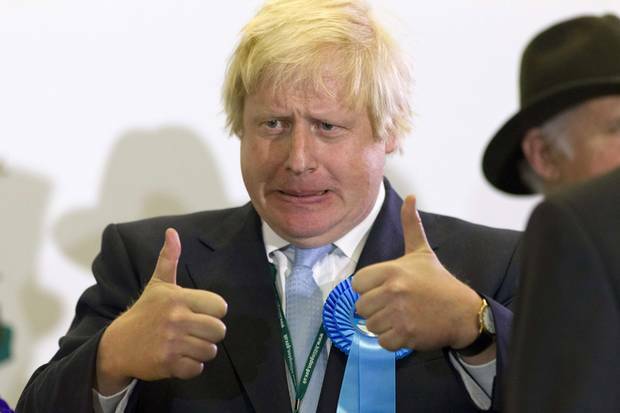 Boris Johnson, Cameron’s likely successor, doesn’t inspire much confidence, but, since the opposition have chosen this opportune moment to to descend into internecine warfare, it looks like we will have to rely on him to negotiate a good exit deal with our now thoroughly pissed-off neighbours, while simultaneously trying to stuff the fascist genie back into the bottle, which might be quite a challenge once the disaffected masses find out that the Leave campaign promises were just empty propaganda. All in all the outlook is gloomy. The one ray of light, in this neck of the woods at least, is that there may be a second independence referendum, giving us a chance to stay attached to Europe, and gain a little breathing space to start rebuilding some sort of progressive movement. A lot of pieces will have to fall into place before we’ll see a happy ending though. Last week wasn’t a great one for anybody who has some residual belief in the intrinsic goodness of humankind, what with homophobic mass murder and political assassination, set against a background of the cross-Atlantic crypto-fascism that underpins Trumpism and Brexit. I’m still just about convinced that there is no way the US electorate will take leave of its collective senses and hand the keys of the republic to the Donald – there is a non-negligible chance that he won’t even make it on to the ballot – but domestically I’m much less optimistic that the Remain case will win out out once the votes are counted in the EU referendum this week. The consequences of a Leave victory hardly bear thinking about; economic meltdown and the far-right triumphant just for starters, with worse to follow. I’m hoping that the looming reality of such a doomsday scenario will focus the minds of those on the left who are thinking of voting for an exit, or abstaining, and convince them that such a course of action is absurdly risky. I’m aware that there is a perfectly sound progressive case against the EU, but that’s a fight for another day; it’s clear that in the current political context nothing good will come from handing a victory to the most reactionary elements of British society. It’s all an unsettling reminder of the way that one’s life can be upended by events almost completely outwith one’s control. I guess I’ll know by Friday whether my gut feeling that people are basically decent is accurate, or hopelessly naive.